Zetsche will fulfill his contract until 2013, Daimler says. Daimler AG has denied that Dieter Zetsche will step down early from his roles as the company's CEO and head of its Mercedes-Benz Cars division to make way for Wolfgang Bernhard. A report in Germany's Focus weekly magazine saying Zetsche will make way for Bernhard was "fiction," Daimler spokesman Joerg Howe said in an e-mailed statement. Bernhard, 49, was Zetsche's No. 2 at Chrysler from 2000 to 2004 before Daimler sold its former U.S. unit. Bernhard is currently in charge of production and purchasing at Mercedes-Benz Cars, which includes the Mercedes, Smart and Maybach brands. In February, Bernhard was elevated to Daimler's six-member management board at the same time as Zetsche's contract with Daimler was renewed until 2013. Citing Daimler insiders, Focus said that Zetsche will hand over the role of Mercedes head to Bernhard next year, then in 2012 will step aside to allow Bernhard to become Daimler CEO. 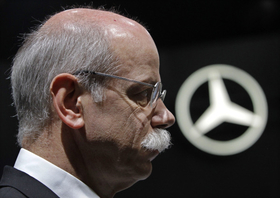 In a statement on Saturday, Daimler said Zetsche will fulfill his contract until it runs out at the end of 2013. "The Focus report is fictional and without foundation," the company said. Zetsche's double role as head of Daimler and the company's premium cars division has been criticized in the German press, which also speculated in February that Bernhard's role as head of production and purchasing at Mercedes cars was an interim move before he becomes Mercedes, then Daimler CEO. In 2004, Bernhard was on the brink of being promoted to head Mercedes but was ousted by then-CEO Juergen Schrempp before he even took the top job after calling the division a basket case. He then joined the Volkswagen Group to run the VW brand, putting high emphasis on cost cutting and boosting quality. But he was ousted in January 2007 in a boardroom shake-up engineered by VW Chairman Ferdinand Piech. Bernhard rejoined Daimler last year. 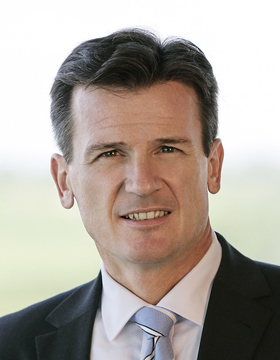 After a stint at Volkswagen Bernhard rejoined Daimler last year. "It's no secret that we worked well together and I'm happy to have him back. But he's not my crown prince and he's not my deputy," Zetsche told journalists at the show.